Apple has today quietly released a new addition to the iMac line, with the aim of the game clearly to bring an affordable iMac to the table – a table that you must be in education in order to sit at. The new model, which sits at a budget friendly $999 comes packed with features, despite its lowly price, though Apple has had to trim some of the specs in order to reach their target price. Still packing a 21.5" screen with a resolution of 1920×1080, this particular model features an Intel i3, dual-core CPU clocked at 3.1GHz. This is the first sign of cost-cutting from Cupertino, as all other iMacs sport a quad-core CPU, with speeds varying depending on the depth of your pockets. Past the CPU, buyers will be treated to 2GB of RAM – down from the 4GB present in other models, and a 250GB rotational hard disk. Graphics are taken care of by AMD’s Radeon 6750M, with 256MB of DDR5 memory. The usual array of ports (except for Thunderbolt) are still present, as is the FaceTime HD camera for those three occasions you’ll use Apple’s video calling feature. It will, of course, worth with Skype, too. Software-wise, users are treated to a fresh copy of OS X Lion for their new machine, and as always, iLife is there as well. Users wishing slightly more performance can add an extra 2GB or 4GB of RAM, as an option, too, though no CPU upgrades appear to be available. Available now, the new education-focused iMac would probably do well on general sale too, but it appears Apple wants to continue to offer the current base as its lowest priced iMac. Will the $200 difference between machines make the buying decision any easier for cash-strapped parents, or are the increased specifications of the more costly model worth the extra expenditure? Apple’s sales numbers will no doubt answer that in due course, and it’s not as if the company is currently struggling to sell its other models now, is it? 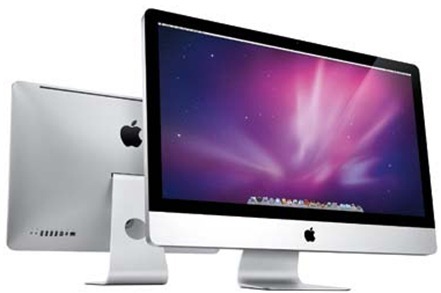 Check out the full technical specification of Apple’s latest addition to the iMac line right here.